Tory Burch: Love Relentlessly — Geoff Howell Studio Inc. The sage advice "Love Relentlessly" is now a relentlessly lovely fragrance by Tory Burch. 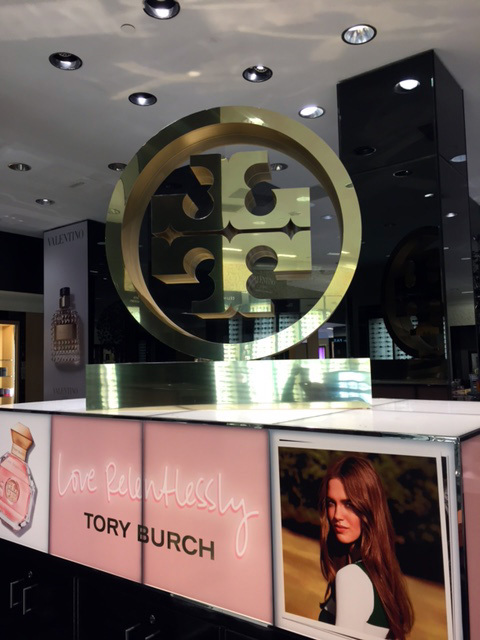 Using her iconic logo in polished gold and filled with beautiful pink roses, the floor display also includes matching gold risers andplinths featuring a large factice of the fragrance and a blow up of a hand-written note by Ms. Burch. Various elements from this installation were featured around other areas of Bloomingdales as well. Can you smell the love? Newer:Bloomingdale's keels over for Kiehl's, honey.Older:Diesel: Happy Lunar New Year!